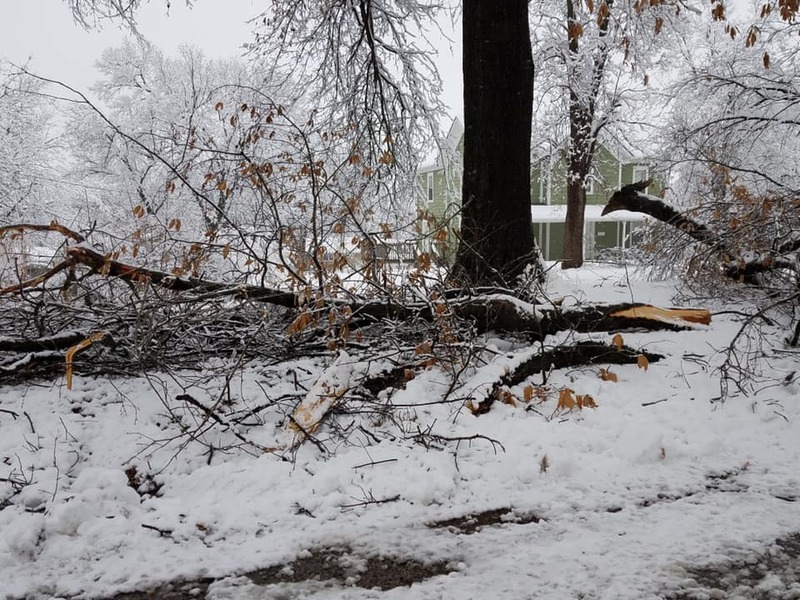 The City of Harrisonville will hold a brush collection event to help residents get rid of the hundreds of limbs that fell from trees during recent winter storms and clear any other brush from their property. The drop off will be held at the City's brush collection location inside the City Park from Thursday May 9, through Saturday, May 11. To access the site, please follow the directional signs from the pool at Bradley and Ash Streets. Residents will be able to bring brush to the site from 10 a.m. to 7 p.m. on Thursday and Friday, and from 8 a.m. to 5 p.m. on Saturday. The event will be limited to Harrisonville residents and businesses. No contractors or developers will be allowed to use the drop off site. Residents should be prepared to show proof of residency, such as a utility bill, to participate in the drop off. Tree limbs and sticks will be the only items accepted. No paper or plastic bags will be allowed, as well as no plant waste or trash. There will be no limit to the amount of limbs allowed at the site. Crews will be available to help unload trailers. No limbs may be dropped off without a City representative present. Crews will also be giving away free mulch and compost during the event. Residents are asked to bring their own containers to haul it away. The City understands that some residents are unable to physically remove the limbs from their property and load them onto a trailer or into a truck. In an effort to ensure that the needs of all residents are met, the City has asked that those willing to volunteer to load and deliver limbs for those who cannot, contact Deputy City Clerk Daniel Barnett. Those who are unable to load or transport their own limbs are asked to call City Hall (816) 380-8900 to get put on a pick-up list. Earlier in the year, it had been advertised that a brush drop off would be held on the Cass County property located across from the Harrisonville Community Center. As was stated above, City officials have decided to change the location of the drop off and collect all brush at the City Park location.